Woodstock Hardwood Flooring is a premium click lock engineered wood floor which is 100% made in Canada. It’s the perfect collection for those looking to add a high quality real wood product to their home and it’s even easy enough to install yourself if you want to go the DIY route. These click locking planks are a little over 5 IN. wide and boast lengths up to 84 IN. The collection features Red Oak and Maple wood species and includes 4 popular colors. You’ll find Red Oak Natural and Maple Natural for those who want a light and traditional appearance. Also included are warm brown tones, which are super popular in more casual settings. The best attribute of the Woodstock line of hardwood flooring has got to be the Valinge 5G click lock technology incorporated into the board construction. These boards are incredibly easy to install. All you have to do is roll out an appropriate underlayment then measure, cut and click. There are no nails, staples or glue involved at all! It’s perfect if you’re looking to save money by installing yourself; or, if you’ve hired an installer to do the work, typically floating floors come with a lower cost per square foot to install because they are less labor intensive. Because of the superb click lock technology, the board in the Woodstock Collection can also be unclicked. This is helpful if ever in the future a board becomes damaged beyond repair. Simply unclick the boards that are still looking good, replace the damaged board and then reclick the good boards back into place. The Woodstock Collection comes with a 35 Year Residential Finish Warranty (and a 3 Year Light Commercial Finish Warranty — so it’s great for small offices too! ), but if you find that you want to sand and refinish your floor anytime in the future, you can! This collection features a super thick 4mm wear layer on top (well above the industry average for engineered floors), which can be sanded and refinished 3 to 4 times over the lifetime of the floor. This collection is approved for installation over radiant heating systems as well as on, above or below grade, so there’s virtually nowhere in the home the Woodstock Collection can’t go! If you just have to see the Woodstock Collection for yourself, take a look at all the colors available here: the Woodstock Collection. You can browse the different stain colors and even order samples which can be shipped directly to your home. One of the newest additions to our site, Hosking Hardwood Flooring, is also one of the most durable, comfortable and beautiful Luxury Vinyl Plank options available on the market today. 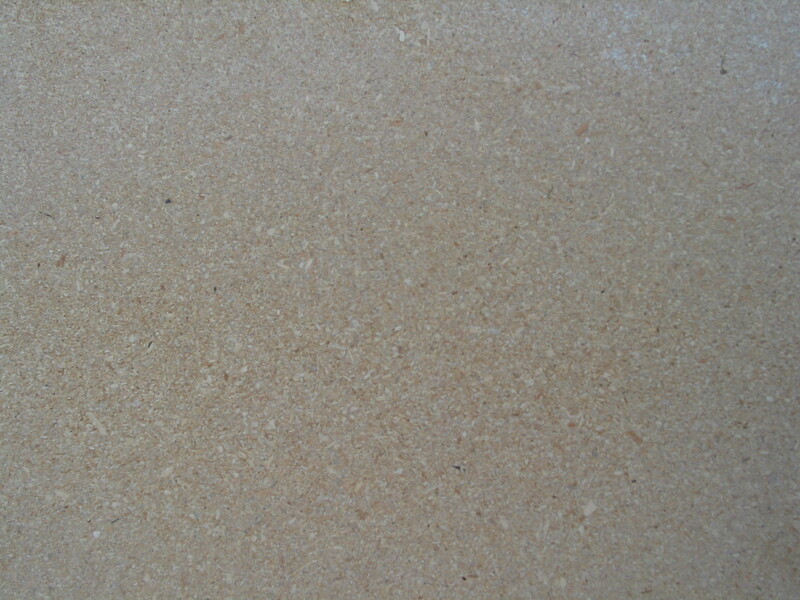 HydroCork is made by Wicanders, which is already a high ranking player in the cork industry. Wicanders has taken cork to a new level with HydroCork, by combining an agglomerate cork composite core with a durable top decorative layer. 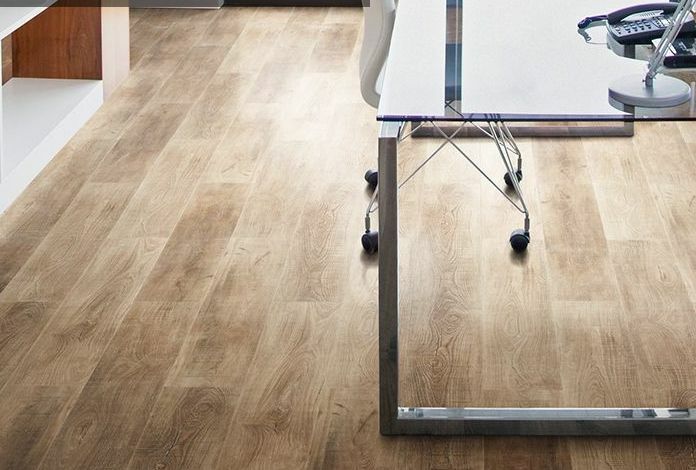 This new flooring hybrid therefore boasts all the comfort of cork flooring along with all the durability of traditional Luxury Vinyl Planks at a very affordable price. Talk about bang for your buck! HydroCork has a total thickness of 6mm. So, in addition to being able to install it over standard subfloors, such as plywood or concrete, it is also perfect for renovations (installation over existing floor covering types). It can easily be installed over flat tile or vinyl (carpet would need to be taken up). The thinner dimension will prevent crazy height differences when transitioning to other floors in your home or for clearance under doors. HydroCork is also approved for installation over Radiant Heating Systems, which are becoming increasingly popular in new homes. Additionally, HydroCork is approved to be installed at any grade of the home as well as in commercial applications. **25 Year Residential Warranty/15 Year Commercial Warranty. As homeowners get craftier and more budget minded, they tend to skew towards DIY projects to save money. This tendency does not exclude new flooring installation. Flooring manufacturers have lately taken this into consideration and have sought to make flooring installations easier and easier through the use of click locking, glueless technology. HydroCork features an exclusive PressFit locking system unique to cork. Simply line up one plank to the next and press the joints together. The cork locking system is compressed with the addition of pressure on the board and then expands back to lock the joint. Planks can be cut by simply measuring, scoring and snapping the unnecessary length off. Pressure is applied with the help of a rubber mallet. Installing a new floor in your home has never been easier. These HydroCork Luxury Vinyl Planks are glueless, so there’s no mess during installation and you will only need a vapor barrier if you’re installing below grade (basement level). The PressFit locking system guarantees a strong and stable seam for ultra dimensional stability. Cork has some great natural properties that really benefit the home and the inhabitants of the home when used as a floor covering. These benefits carry over to HydroCork because of the cork core. Firstly, HydroCork is going to offer better acoustic insulation than traditional hard surface floor coverings. It will be less noisy when walked on and will help a little to soundproof a room. Secondly, the natural thermal insulating properties of HydroCork means your floor will be warmer to the touch and will help with room temperature consistency, cutting down on energy expenses. Cork acts as a natural cushion. When impressed upon, cork will bounce back to its initial shape. This means, not only does HydroCork offer more comfort when walking on it, but it also is easier on joints and tendons when walking on it, making for a more wellness-minded room. Along the same lines, HydroCork is a lot more impact resistant than traditional hard surface floors like hardwood or tile. This property makes HydroCork ideal for high energy rooms, like kitchens. Dishes and glasses are more likely to make it out intact when dropped on HydroCork, and without damaging your floor. Finally, there is an affordable floor covering on the market that is also water resistant! HydroCork will not swell when exposed to humidity or water. This makes it perfect for installation in bathrooms and kitchens, where water and spills are more prevalent. **For more information on installing HydroCork in bathrooms, check out the HydroCork Installation Instructions. HydroCork offers a range of colors and wood species visuals with ultra realistic wood like textures. Guests who don’t know they’re walking on vinyl will think it’s real hardwood. Ultimately, HydroCork offers benefits for any home at an affordable price. From quiet residences to busy households with kids and/or pets, HydroCork offers the best of beauty, comfort and durability. You can view the different colors/styles of HydroCork here on our site: Wicanders HydroCork Click LVT. One of the most important factors of a house’s structural integrity comes from how strong the flooring system is. Essential elements include strong foundation footings, properly spaced support columns and appropriate sized and spaced floor joists. The consequences of a poorly structured flooring system could definitely affect how flooring choices in the future perform as well as the structural integrity of your home. Movement of the floor system, sagging subfloors, unbalanced heights, separation of flooring and squeaky subfloors can all develop from inadequate floor foundations. Once you have a stable flooring foundation, your subfloor creates a base for your actual flooring. Whether you’re building a new home or renovating an older one, it’s important to know the differences and benefits of standard subfloor types. Knowing what your subfloor is will help guide you to what type of flooring you can use as well as how much work will be involved with installing a new floor. Plywood has been the most popular material used for subflooring for homes built within the last 40 years. 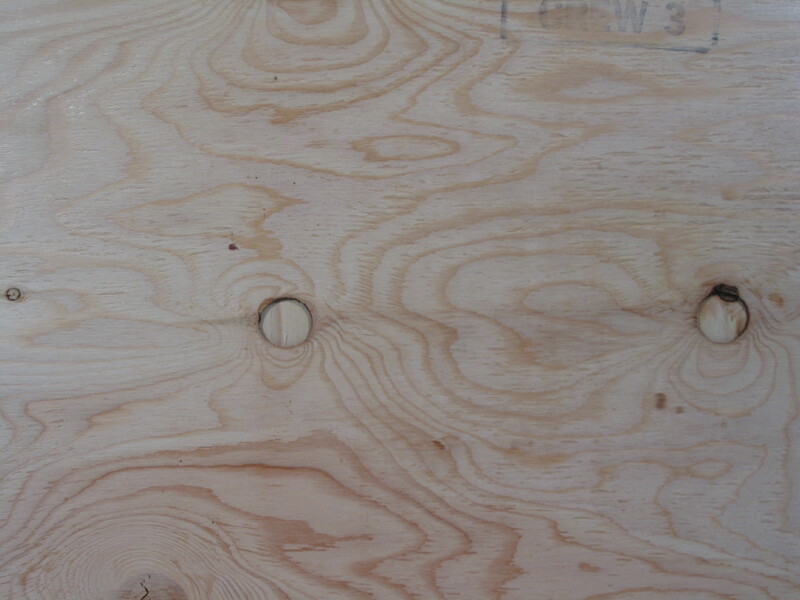 Plywood is typically made of cross layers of birch or pine. The cross layers of plywood offer a myriad of benefits. They reduce splitting, reduce expansion and contraction and reduce warping. Overall, a plywood subfloor’s cross layers will increase the collective dimensional stability of the foundation. Plywood subflooring is typically either 5/8 IN. or 3/4 IN. thick and comes in sections of 4 FT. x 8 FT. sheets. CDX plywood sheets have tongue and grooves, allowing for the sections to be connected to each other for a strong connection. It’s recommended, when installing, to apply a thick bead of subfloor caulking adhesive to the flooring joists before using 2-1/2 IN. 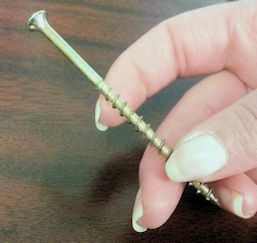 deck screws (every 8 IN.) to attach the CDX plywood subfloor. As long as it’s securely attached, flat and not flexing, plywood is the perfect subfloor to install virtually any type of flooring over (solid, engineered, click lock floating or laminate). 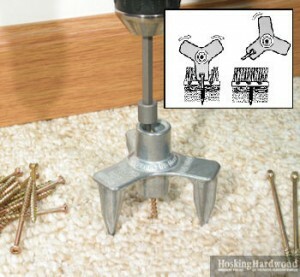 If you’re installing a floor type that is thinner than 1/2 IN. thick, you may want to consider strengthening the subfloor with an additional layer of 3/8 IN. or 1/2 IN. thick plywood. If you’re stapling or nailing down, it’s important to use a layer of 15 lb. black felt paper between the plywood subfloor and the new flooring to prevent transfer of anything that may travel up through the subfloor. For floating applications, you will need to use the manufacturer’s recommended foam underlayment. Sometimes, in older homes, homeowners will tear up old flooring and find that their subfloor is wood planks. These planks are usually 3/4 IN. thick and anywhere from 4 IN. to 8 IN. wide. Typically the planks are made from pine boards which are nailed to the flooring joists. 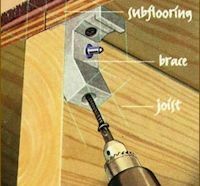 When installing new flooring over plank subflooring, it’s important to make sure each plank is securely fastened to the flooring joists and, if not, re-secure them prior to starting the new install. Once planks are deemed secure and flat, you can pretty much install virtually any flooring type over this subfloor (with a few caveats). When installing solid flooring, it’s important to install the length of the boards perpendicular to the subfloor planks, otherwise you run the risk of having the new flooring pull apart with expansion and contraction of the plank subflooring. If running the new solid board in the same direction as the subfloor planks is important in your situation (running the boards parallel to the longest wall will make the room appear larger), you can install a layer of plywood (3/8 IN. or 1/2 IN. 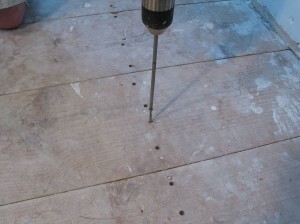 thick) over the plank subfloor (glued and screwed down) to increase strength. The same goes for installation of engineered flooring when it’s stapled or nailed down to the plank subfloor. If you plank on floating an engineered floor (or a laminate), using a click lock floating floor, it’s important to make sure your plank subflooring is flat. If there are discrepancies, you will need to add a layer of 3/8 IN. or 1/2 IN. thick plywood (glued and screwed down) prior to installation. With floating installations, as with solid/engineered staple or nail down installs, you will want to install the boards perpendicular to the planks in the subfloor. However, if you add that extra layer of plywood, you can install in any direction you’d like. 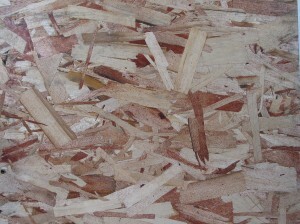 OSB is a surface made from wood chips glued together. Usually OSB subfloors are 3/4 IN. thick. These subfloors are typically both glued and screwed down to flooring joists, as this will make the OSB more stable and will eliminate squeaking. Solid hardwood, engineered hardwood, click lock floating floors and laminate can all be installed over OSB subfloors. It’s always recommended to install flooring planks perpendicular to the flooring joists for added stability. When stapling or nailing floor boards down, as always, 15 lb. black felt paper is recommended as an underlayment and a foam underlayment is recommended for floating applications. If the OSB subfloor seems weak or flexible in some spots, it’s recommended to add a layer (glued and screwed down) of 3/8 IN. or 1/2 IN. plywood to the subfloor for added stability. Concrete slabs are usually poured everywhere from 4 IN. to 6 IN. thick. Keep in mind that when concrete floors are first poured, it could take 3 months or more for the water in the mix to evaporate and for the subfloor to dry out. It’s important to perform a moisture test on any concrete slab subfloor prior to installing hardwood flooring. Additionally, most manufacturers will have guidelines as to the limit of how uneven a concrete floor can be for installation of their product. Installers need to make sure to refer to these guidelines as warranties will be void if the differential across the subfloor is too high. 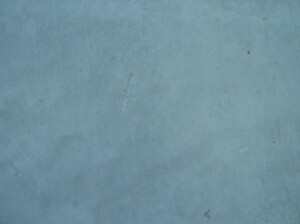 Old, uneven concrete subfloors can be fixed easily by using a self leveler. 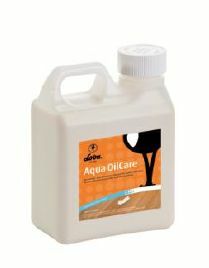 Self leveling agents dry within 1 to 8 hours, depending on the thickness of the pour. If any adhesive residue from previous flooring has been left on the concrete, it needs to be cleaned off with a scraper. 3/4 IN. thick solid hardwood flooring cannot be installed over concrete slab subfloors; there is just way too much moisture transferring up from the concrete and the thick solid can’t handle it. The results would be cupping, buckling and warping of the boards. 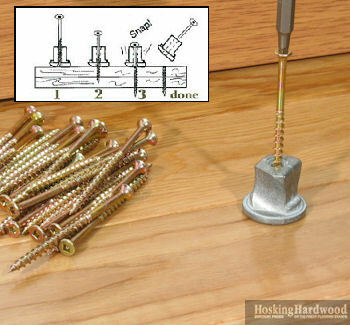 If solid hardwood flooring is an absolute necessity over a concrete subfloor, a sleeper system can be built over the concrete slab or you can glue down and screw two layers of 1/2 IN. thick plywood into the concrete. Both options are quite labor intensive and will add significant height to your subfloor. With the majority of hardwood installs over concrete, the homeowner goes with engineered hardwood flooring. Engineered flooring was designed specifically to go over concrete slabs and can be installed either by direct glue down or by floating. If gluing engineered down, it’s important to make sure the concrete subfloor is at less than 4% moisture year round. It’s also recommended to use a water resistant adhesive with included moisture vapor protection. When floating an engineered floor, click lock floating floor or a laminate over concrete, it’s important to use the recommended foam underlayment with an attached vapor barrier. For extra protection against moisture transfer, we also recommend using an additional 6mil plastic sheet over the concrete. 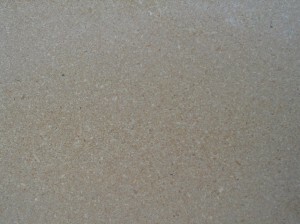 Particle board is a material usually found when old carpeting is ripped up. It is not structurally appropriate for installing new flooring over and is basically a glorified cushion. Particle board has excellent potential to absorb extra moisture and fall apart, becoming burdensome to any type of flooring installed directly over it. Additionally, particle board does not hold staples or nails well. Hardwood flooring adhesives have the potential to eat right through it over time. It is highly recommended (and usually required by manufacturers) to take up any particle board prior to installing new hardwood flooring. If absolutely necessary, engineered, click lock floating or laminate flooring can be floated over particle board but it’s definitely not recommend because of moisture and structural integrity problems. Additionally, with most manufacturers of hardwood flooring and laminate flooring, if you install over particle board, you’ll be voiding any warranty offered with the new flooring. Sometimes, homeowners looking to save time and money inquire about installing new flooring directly over their old flooring. This option is typically not recommended. Several problems can emerge affecting the overall room appearance, door clearance (both inside doors and doors leading to the exterior of the home), appliance space and transitions to adjacent rooms. Installing new flooring directly over old flooring is also going to significantly add weight to the subfloor and floor joists, potentially compromising the structural integrity of the entire system. If installation over existing hardwood flooring is absolutely necessary, installing perpendicular to the existing hardwood planks will help to prevent gapping. Installing new flooring over existing ceramic tile is also not necessarily recommended, but if absolutely necessary, engineered flooring, click lock and laminate flooring can be floated over existing ceramic tile as long as the tiles are still adhered securely to the subfloor. Of course, an underlayment would be required and it’s very important to make sure the tile floor is flat, with nothing protruding from the surface. With use, everything has potential to wear out and become less pristine than it once was when first installed. Subfloors are no different. Prior to installing new flooring, it’s important to always check how your subfloor is holding up and fix any trouble spots. 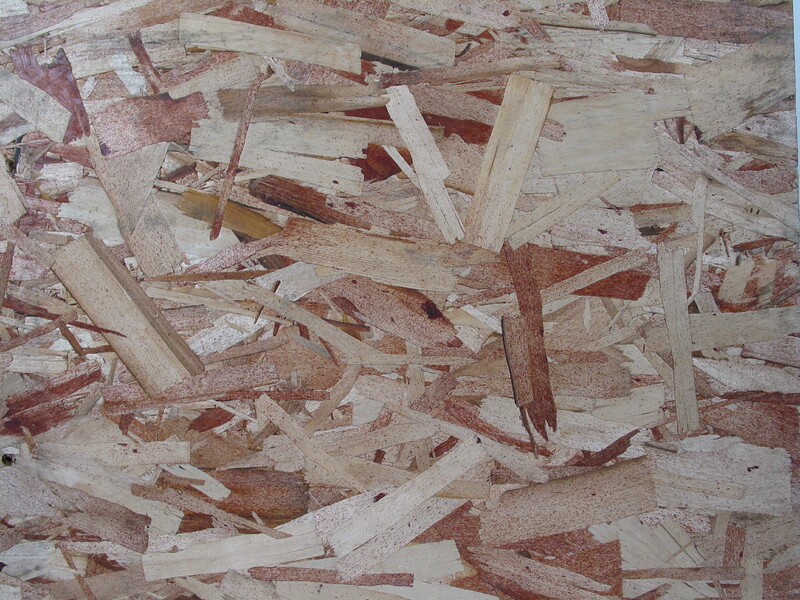 Plywood and OSB can become weak and flexible in spots. Plank subfloors can shift with expansion and contraction and become loose and/or unattached from the floor joists. Concrete subfloors can become uneven over time. Taking the time to fix these problems prior to installation of new flooring can prevent headaches down the road. If you notice squeaky subfloors under flooring that you don’t plan on replacing anytime soon, there are solutions that don’t involve taking up your flooring. Squeaks are typically caused when the subfloor isn’t joined securely enough to the floor joists. Repair kits are available, enabling homeowners to use snap screws to secure loose subflooring through hardwood or carpet. Additionally, joist bracket systems are available if you have access to the flooring joists (from the room below) which will tighten the connection of the joists with the subfloor. **Muskoka has changed their brand name to “Vintage Hardwood.” In this blog post, consider “Muskoka” and “Vintage” as the same. Although most of the prefinished hardwood floors we offer are done in a standard Aluminum Oxide Finish cured under UV lights for ultimate durability, we have been seeing more and more top hardwood flooring brands offering special oiled flooring options. There are quite a few benefits of installing an oil finished floor in your home, but there are also some drawbacks to be aware of. For more in depth information on standard oiled floors, take a look at: How to Clean Your Oil Finished Wood Floors. Now that that little refresher on standard oiled floors is over, let me introduce you to Muskoka’s UV Oil Floors. Although not exclusive to just these collections, the Muskoka Etched Collections and Wirebrushed Collection feature their UV Urethane Oil Finish. The Etched and Wirebrushed surface textures really add a lot of depth and interest to a room and the special Muskoka Oil Finish has a lot to do with that. The UV Oil Finish from Muskoka is unique in that it kind of takes the best of both worlds to form a tough surface that’s easy to maintain. It has the low maintenance features of an Aluminum Oxide finish but with the spot repair benefits of an oiled floor. More specifically, the UV Oil Finish from Muskoka is non-oxidative — so it’s a lot less work. One thing to keep in mind when spot repairing Muskoka UV Oiled floors is that once you apply the Loba Oil, you would need to start re-oiling that area on a yearly basis (like you would a standard oiled floor). This is because the reparative Loba oil is an oxidizing oil (oxygen in the air will break down the oil, ultimately degrading the quality and drying it up) whereas the special UV Urethane Oil applied at the Muskoka factory is non-oxidizing. Aside from being the standard finish applied to Muskoka’s Etched and Wirebrushed floors, homeowners can also special order the UV Urethane Oil finish on most of Muskoka’s other products. The UV Oil offers an ultra matte sheen that is really on trend right now. For a more in depth look at the recommendations from Muskoka for regular cleaning and maintenance of their UV Oiled Flooring: Muskoka UV Oil Care and Maintenance. We offer the full line of Muskoka Etched and Wirebrushed products. You can view them all here in the Muskoka section of our website: Muskoka Hardwood Flooring. Samples available. Red Birch is huge right now. The counterpart of Yellow Birch, Red Birch is the heartwood of the Birch tree while Yellow Birch is the more prominent sapwood of the Birch tree. Yellow Birch is typically more readily available, but Red Birch just has a bit more pizzazz. Red Birch showcases beautiful red undertones and has subtly interesting grain patterns, making it an amazing and much talked about addition to any room in your home. As it’s a lighter color, Red Birch flooring works really well to open up spaces — but there’s still a bit of color variation from board to board, preventing the viewer from getting bored. Red Birch falls at a 1260 on the Janka Hardness Scale, just a smidge softer than Red Oak. It works well in rooms with average residential traffic, but you might want to keep it away from heavier trafficked areas of the home or heavy commercial settings. Because of discrepancies in supply versus demand, quality Red Birch flooring has become a bit difficult to find and lead times are steadily increasing. Luckily, we just got in a new shipment of premium quality solid Red Birch hardwood flooring and right now it’s at an amazing price: Red Birch Natural Select & Better. This is a 3/4 IN. thick solid hardwood Red Birch floor, 3-1/4 IN. wide. It’s made by Lauzon Wood Floors — so you know it’s premium stuff. This Canadian mill has super strict milling standards and an impeccable grading system for their hardwood flooring. This Red Birch floor is a Select & Better grade, so you’ll find a little bit of shade variation from board to board, but for the most part it will be uniform coloring. You’ll also find subtle and wispy grain lines, characteristic of Birch. Lauzon offers this hardwood floor with a 30 Year Residential Finish Warranty and a Lifetime Structural Warranty. 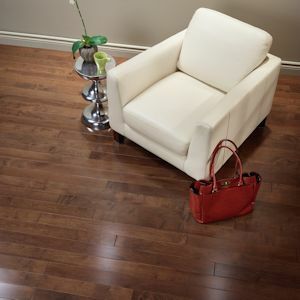 Click on the picture of Red Birch above to seeing all sale pricing and order samples of this floor. But we’ve only got a limited quantity in stock, so don’t delay! 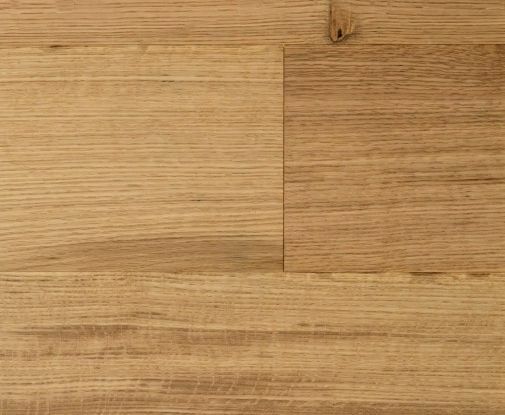 Ranking a 1450 on the Janka Hardness Scale (Red Oak comes in at 1290), Maple is a wood species that has been used for hardwood flooring for centuries in part because of it’s exceptional durability. Also, Maple’s creamy white coloring and subtle grain patterns can really open up a room and can be used to complement virtually any aesthetic taste. Because of its naturally lighter color, natural Maple hardwood flooring is perfect for residential areas with heavier traffic and tend to hide imperfections like scratches and dents more readily than its darker counterparts. Additionally, Maple flooring can be very versatile, as there are different grades available with varying amounts of color variation and/or character marks. For a elegant and sleek look, go with a higher grade like Clear Maple or Select & Better Maple. These grades have the cleanest look, with minimal color variation. For a more casual aesthetic, you may want to go with a Select or Rustic Grade as these grades will show darker character and a broader spectrum of the natural color variation of Maple. The downside to Maple is that it can get kind of expensive, depending on the grade and clarity of the boards. 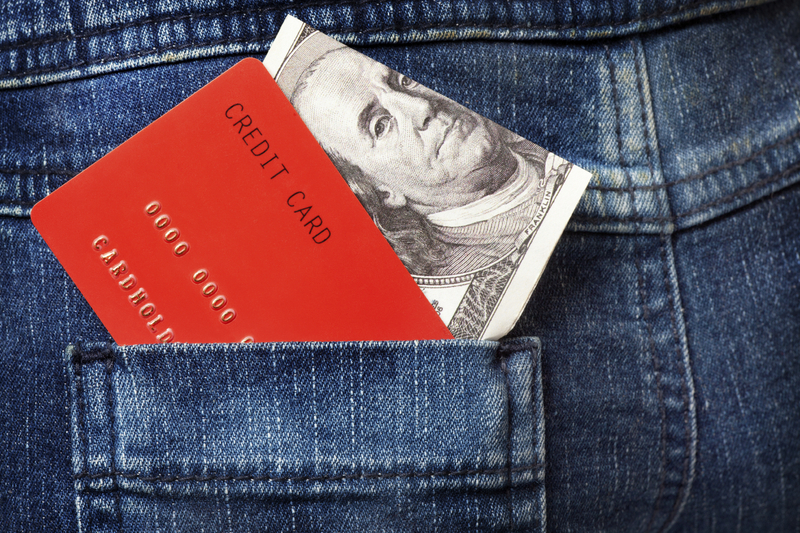 We’ve decided to make getting your hands on a solid Maple floor for your home a little easier on the wallet. 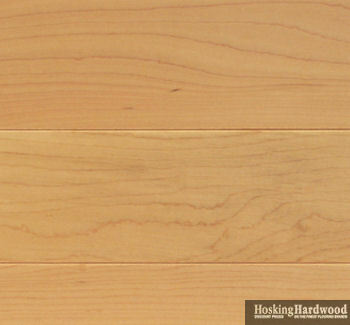 For a limited time, we’re offering two different natural Maple 3/4 IN. thick solid hardwood floor products from PREMIUM manufacturers. These are two of the best Canadian hardwood flooring manufacturers out there and we used our exceptional buying power to get you the goods at amazing prices. Lauzon Solid Maple Natural 3-1/4 IN. The first one is from the prestigious Lauzon Wood Floors. 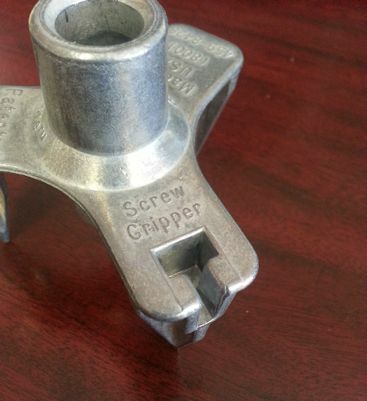 It’s a 3/4 IN. x 3-1/4 IN. solid Maple Natural in a Select & Better grade. It features a uniform appearance and the 3-1/4 IN. width really makes it perfect for any type of room. This Maple Natural comes with a 30 Year Residential Finish Warranty and a Lifetime Structural Warranty. The owner, Jeff Hosking, loved this solid Maple Natural floor so much that he purchased an entire truckload and is passing the savings down to you. Usually retailing for anywhere from $8 to $10.99, you can find it here for $4.99 per square foot. We’ve already sold over 6000 square feet of this amazing solid maple, so make sure to order a sample and get your new maple floor now, before stock is depleted! Mont Royal Maple Natural Extra grade 4-1/4 IN. Our second solid Maple Natural is a product from the up and coming Canadian mill Mont Royal. Mont Royal offers a wide range of domestic wood species in a variety of grades. They offered us an amazing deal on their Maple Natural Extra grade (their version of a Select grade). This Maple Natural Extra offers a beautiful range of color variation and a moderate amount of darker mineral streaks for that more casual look. Additionally, these solid boards are 3/4 IN. thick and 4-1/4 IN. wide. The wider boards really offer an amazing canvas to showcase all the beautiful natural character included in a Select grade Maple. 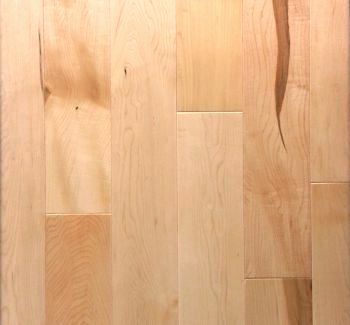 If you’re looking for a premium quality solid Maple Natural floor in a wider width, you’re not going to find a better price than this: $4.18 per square foot. For a 4-1/4 IN. wide solid Maple! Samples are available via our website. We recommend ordering more than one sample, so you can truly see some of the variation included in this Extra grade. Special in-stock pricing is only available for a limited time. We have found that when homeowners come to us looking for hardwood flooring, there are three major requirements that they are aiming to fulfill: value, reliability and appearance. During the decision making process, different consumers will have different expectations and needs for each of the three. Value is all about how much you’re paying for something in relation to what you’re actually getting. Some homeowners have it in their budget and are willing to pay a little more for a higher quality product. These could be considered premium products from premium manufacturers, like Muskoka or Lauzon, or they could be considered products with a more specific stylized appearance, like a handscraped surface or an exotic wood species. Some homeowners are looking for a more affordable hardwood product and are willing to consider hardwoods with less uniformity of color or shorter board lengths. It’s important to be familiar with what kind of budget you’re working with in order to determine what kind of hardwood flooring product would work within your budget’s parameters. As with any consumer product, different manufacturers are going to offer different levels of quality and reliability. Typically, hardwood manufacturers which have been around for decades will have proven track records, vouching for their dependability. These well known brands are known for their reliability and work hard for excellence in both their products and their customer service because any negative reviews would hurt the reputation they’ve spent so many years building. Lesser known manufacturers tend to feel less accountability and may not be up to par when it comes to product warranties, communication or milling standards. What a hardwood floor actually looks like is usually the deciding factor when it comes to making a final purchase; after all, the visual is what you’re going to be seeing day in and day out: you want to make sure it’s something that you actually like. It’s important to keep in mind that hardwood flooring is a natural product, though. While the small sample in a showroom may give you a good idea of what the product might look like in your home, it can’t be used as a complete representation of what the hardwood floor will exactly look like when installed. Depending on the wood species, natural products can have slight (White Oak) to moderate (Hickory) to extensive (Brazilian Cherry) color variation from board to board. It’s hard to see this color variation from a small sample or even in a larger showroom display board. Stained products sometimes face the same dilemma, as different parts of the same tree can take a stain color slightly differently. Grain patterns can’t always be counted on either. Depending on what region the specific tree came from and, especially with exotic wood species, sometimes grain patterns can be completely off the map. 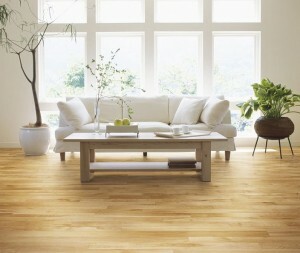 Additionally, natural wood flooring will change color a bit over time. With exposure to light, natural wood flooring will get richer and darken in color, ultimately reaching maturation at about 6 to 8 months. Again, this is due to the face that hardwood flooring is a natural product. The photosensitivity of different wood species can vary greatly: Red Oak and White Oak change so slightly that it’s hardly noticeable, while exotics like Brazilian Cherry go through a metamorphosis in color, becoming much richer in tone at the point of maturation. For more on the specific characteristics of different wood species: Choosing a Hardwood Flooring Wood Species. Most homeowners interested in hardwood flooring know about these variances and appreciate the uniqueness and authentic feel that natural wood flooring brings to their home. Other homeowners want a very specific look and are unwilling to accept the fact that there may be slight variances within the natural wood product they select. In this case, it might be best to look into a fabricated flooring material, like laminate or vinyl, in order to get that very specific color desired. Wood grading refers to the way hardwood flooring raw material is sorted when it is first milled. Sometimes it’s human observation that is used to determine grade, other times grades are determine through computer scans of each milled board. Different grade levels are dependent on color variation from board to board as well as amount of character present on that board. The clearer grades are generally more expensive, the mid range grades are typically more popular and the rustic grades will have the most character and color variation. Not all manufacturers will offer multiple grades in their product lines. Most brands will focus on one or two of the grades that they think will appeal to their target market and/or price points. Clear Grade products are going to be the most uniform hardwood floors on the market. Boards are clear and the color from board to board is pretty uniform. Unusual character marks or crazy grain patterns are virtually non-existent. Not too many hardwood manufacturers offer a Clear Grade. Select & Better Grade is the most popular choice for manufacturers to use when creating their natural hardwood flooring. The S&B Grade offers slight color variation but relatively standard grain patterns and typically little to no darker character marks. Select Grade is a step down from S&B. There will be slight color variation and some darker grain patterns. Small knots are allowed in this grade. It’s common for manufacturers to use a Select Grade when creating their stained products, as much of the color variation from board to board and the more visible grain patterns are covered up by the stain. Rustic Grade hardwood flooring features color variation, darker grain patters, filled knot holes and sometimes a mixture of heartwood and sapwood. Ultimately, this creates a very distinct mosaic of the nature of real hardwood. Rustic Grade hardwood has the same quality as other grades, so it shouldn’t be seen as less durable or junk flooring — it’s just graded according to the appearance of the board and is much sought after for homeowners interested in a “country” aesthetic. Cabin, Value or Tavern Grade flooring is the lowest grade available. Lots of times, these grades contain shorter boards, unusual coloring, unfilled knot holes, dark graining, etc. These grades are not 1st run products, but rather, are considered 2nds as they are boards manufacturers don’t feel fill the requirements necessary of their 1st run material. To a certain point, the grade of flooring you purchase has an impact on how much of a waste factor you’ll need to account for in your order of hardwood flooring. A waste factor is the extra percentage of material needed to cover cutting waste and board selection. With a Clear Grade, Select & Better Grade or Select Grade floor, you will get mostly good boards — but there may be one or two that you just don’t like the looks of and don’t want installed. The waste factor is recommended to cover being choosey like this. With these higher wood grades, it’s generally recommended to order a 5% to 8% waste factor over the actual square footage needed. With lower grades, like Rustic or Cabin, it’s generally recommended to order 8% to 10% overage as a waste factor. For more information: How to Measure for Hardwood Flooring or Laminate Flooring. Many homeowners who purchase hardwood flooring products don’t have a clear understanding as to what is included in a manufacturer’s warranty. 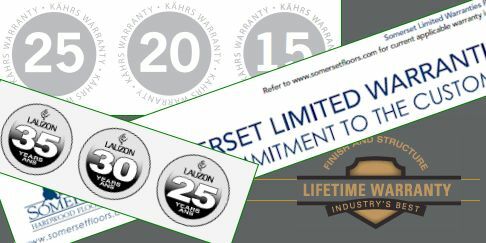 A brand typically boasts 25 Years, 50 Years or even a Lifetime Finish Warranty. But this can be deceiving and consumers come away with the idea that their new hardwood flooring is guaranteed not to scratch or dent. What a finish warranty really means is that over that span of time, with normal household traffic, the factory applied finish will not wear off. Finish warranties do not cover scratching or denting to the surface. Additionally, if you sand and refinish at any point in the future, you’re void that factory finish warranty. 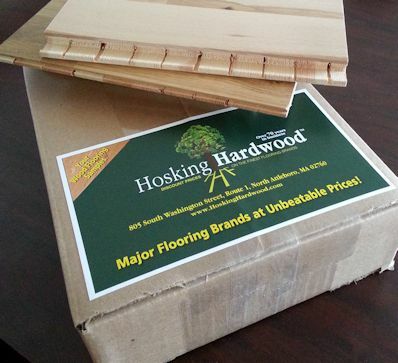 Structural warranties are also included on hardwood flooring products by manufacturers. Structural warranties are typically good for the lifetime of the hardwood flooring, but they don’t cover water damage or cupping/buckling that may occur as a result of high or low moisture content in the air. When warranty issues do arise, manufacturers will often ask for an inspection to be done. Guidelines from the National Wood Flooring Association (NWFA) state that inspections are to be performed from a standing position and not down on hands and knees. 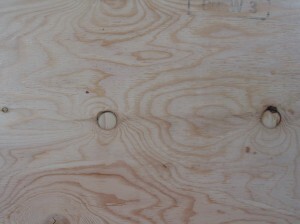 Warranties also do not cover the installation of undesirable boards (boards with darker streaking or giant knot holes). Once the board is installed, it’s considered to be accepted by the purchaser. Ugly boards that you do not want in your floor should be pulled from the carton and counted as part of the waste factor. For a more in-depth look at hardwood flooring warranties: Hardwood Flooring Warranty Expectations. Overall, hardwood flooring is a beautiful and financially beneficial upgrade to any home. However, it’s important for to have the right expectations of this natural product before ultimately deciding on what’s right for you and your home. You may also be interested in: What is the FSC?, Finding the Perfect Hardwood Floor, Molding & Trim Guide for Hardwood and Laminate Flooring, Water vs. Wood.